Tune – Repairs – Rebuild – Clean & more. All makes and models including Player Pianos. Whether you just need piano tuning, or if you need your piano repaired or rebuilt, Bratton Piano Service of Lorain, Ohio has experience and expertise to get it sounding like music to your ears. 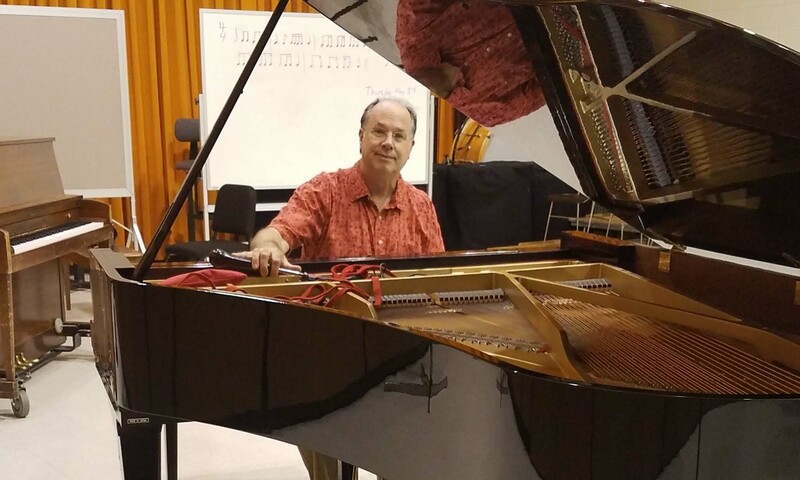 Owner Don Bratton is a member of the Piano Technicians Guild and has more than 40 years of experience providing a wide range of services for pianos of all ages, sizes, makes and models, including Player Pianos. He will travel within a one-hour radius of Lorain. If you’re looking to purchase or sell a piano, he also offers appraisals and inspections. Call 440-396-8141 today to make an appointment or to find out more about his prices and services. Tuning a piano can be as simple as adjusting the tension strings to create the right pitch, but sometimes more complex tuning is required. A piano that has not been tuned in a long time may require additional tuning to restore it to proper pitch and a pleasant sound. Sometimes, a piano needs more than a basic tuning to get all the notes working and playing well. It may be as simple as removing a coin from between two keys (no charge) missing or broken parts, adjustments to how the parts work. In my initial visit I will inspect the piano and determine what needs to be done, what repairs will cost, and how the repairs will effect piano. A piano rebuild involves replacement of parts that have worn out over time or just aren’t usable. The decision to rebuild will weigh the value that is added to the piano in performance and longevity against cost. The level of work may be minor or extensive. If you want to keep your piano sounding and working well, I can provide regularly scheduled general inspections, service and maintenance to ensure that your pitch is never off. Having a new piano in your home can be rewarding and sometimes a challenge. Sometimes you get a piano that has been neglected or in a poor environment and it requires additional tuning to restore it to proper pitch and a pleasant sound. This is called a Pitch Raise. Depending on how many tunings the piano will need to reach a440 a collection of several tunings cost $165 to $225. FYI – It is recommended that the piano will need time to adjust to a new environment so wait 3 or 4 weeks to have it tuned. You can call to set that appointment in advance and get some more information about what to expect. and make suggestion to what needs to be done to getting it in good working order. It is amazing how old a piano can be and still work to some degree. But at some point things need to be repaired or replaced. Some parts are wool (eaten by mice or moths), plastic (become brittle), brass (stress fractures), wood (dries out and cracks), rubber and leather (worn or dries out), and glue joints fail. Ok – this may sound bad but not all these thing happen to every note and not all at the same time. The goal is to figure out what you have, what needs to be done, and what makes sense to fit your needs. The piano will be played and enjoyed more when it sounds good and works well. In my initial visit I will inspect the piano and determine what needs to be done, what repairs will cost, and how the repairs will effect piano. Call or text 440-396-8141 today to make an appointment or to find out more about his prices and services. Or, fill out the form below to send an email. Whether you just need your piano tuned, repaired or rebuilt, Bratton Piano Service in Lorain, Ohio has the experience and expertise to get it sounding as good as new.